The ETS de Ingeniería y Sistemas de Telecomunicación has joined the EIT Digital Master School, specifically the Internet Technology and Architecture (ITA) technical progamme, offering the specialization Technologies for Internet Mobile and Ubiquitous Computing. The EIT Digital Master School offers a two year education in which you can choose two universities in two different European countries, building a curriculum of your choice based on your skills and interests. We offer double degrees which combine technical competence with skills in Innovation and Entrepreneurship. 20 universities around Europe join forces to offer a great variety of programmes. What information will you find here? Get an excellent theoretical education as well as the opportunity to work with European top research facilities and leading business partners. The education includes an internship in which students, teachers, and our business partners develop a project for your Master's thesis. This combination teaches you the creative skills prepare you to play a key role in the future of your field and drive innovations to the global market. Numerous extracurricular activities and networking opportunities with fellow students at other universities make this education a unique European experience. More details about the EIT Digital Master School can be found in this link. Fast track to your career: get in touch with industry. Double degree Master's programme with major in ICT and minor in E&I. International experience study two years in 2 different European cities. Check out the opportunities offered by EIT Digital Master School! Besides fundamental knowledge on up to date ICT topics you learn how to drive your innovations to the market. You prepare a Master's thesis in collaboration with a company, that includes creating a business plan for the commercial exploitation of your project. A basic course in Innovation and Entrepreneurship, Summer Schools and the Business Development Labs Course are the vital parts of the Innovation and Entrepreneurship module. Students that complete the EIT Digital Master School will receive a double degree from both universities in their individual study plan. They also earn our EIT Digital certificate, documenting the specific EIT Digital learning outcomes. You do not only study at two different universities in two different European countries, but also travel to kick-off events and summer schools to meet other students, business partners and professionals. Learning about cultural and language differences helps you on your route to become an expert in your technical field and to succeed as a manager in global markets. Renowned European research facilities are partnered with EIT Digital to provide assistance to you throughout the education. We are providing the best possible resources for you to succeed. A wide range of first class companies are partnered with EIT Digital to give you hands-on experience of what your future looks like. You are working closely with our business partners throughout the whole education, and you will get the chance to prepare your master's thesis with our partners on real life projects. Learn more about the partners of EIT Digital. 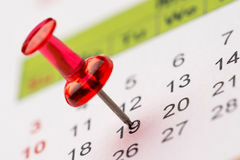 Review the key dates and deadlines and apply in this link. Scholarships are merit based and no separate application for the EIT Digital Scholarship is needed. Please read the Application Instructions to find out how to apply! Excellent students can be awarded a monthly allowance. Find the details at this link. The ETSIST acts as an exit node offering the specialisation Technologies for Internet Mobile and Ubiquitous Computing. Participatns finishing the program will obtain the title MSc. in Systems and Services Engineering for the Information Society.